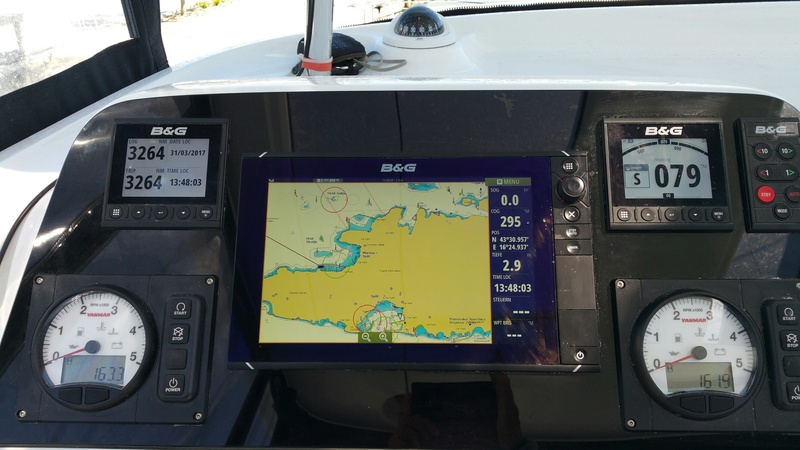 The transfer of Lagoon 42 has come to an end. Read the last post of this amazing sailing journey, which includes almost losing one crew member in Croatia! 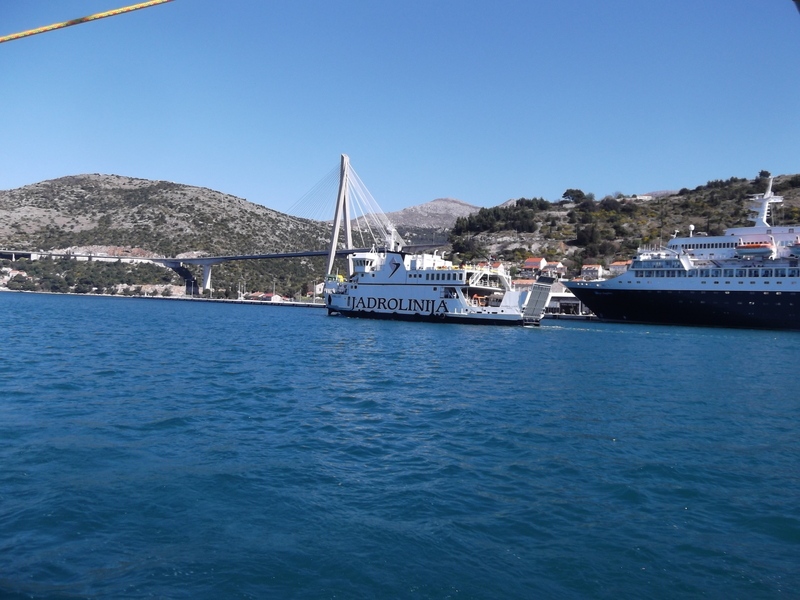 At 10.50 am, we moored up at the customs pier in Dubrovnik. After 45 minutes, the paperwork was done, and we put down the yellow „Quebec“ signal flag. We got an email with the copies of Croatian papers for our catamaran “Galapagos”. Then we took down the Dutch flag, the temporary registration for the transfer and hoisted the Croatian flag on stern, which was in front of the guest land flag starboard under the spreaders. We also changed the home port from Amsterdam to Split underneath the letters of the boat name. We got a three-hour time window, where we could moor up for free and the crew rushed to the old city of Dubrovnik to finally see the „Pearl of the Adriatic“. 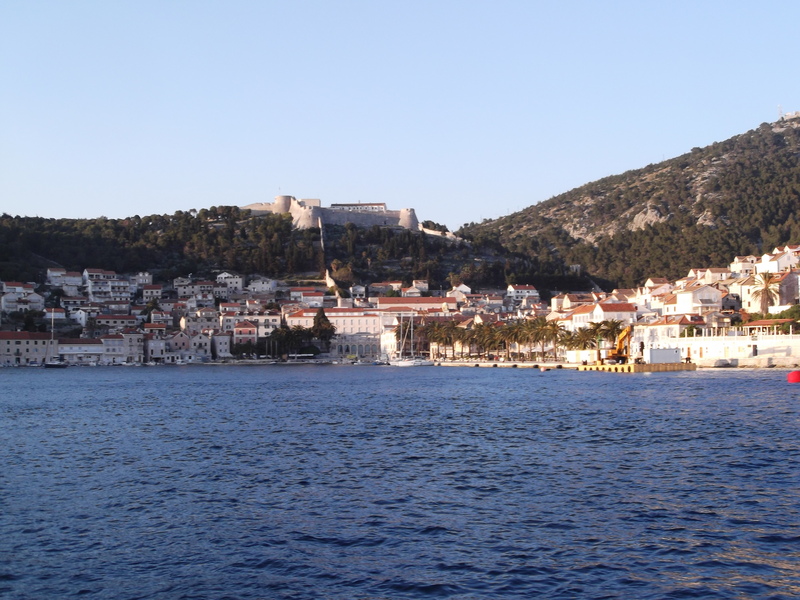 Then we left Gruž, the new harbor of Dubrovnik, and headed to the island of Šipan, which is a nice, calm and idyllic place near Dubrovnik. We had luck – a restaurant opened for us, eight very hungry customers, and we enjoyed fresh fish and some meat. Dessert was “palačinke” (pancakes with sugar and jam). We also visited my old friend Božo in his bar for some drinks. As discussed the day before, we left the harbor at 8 o´clock. Suddenly, we noticed on the pier a man running, shouting and wildly waving his hands. Oops, we had left behind one of our crew members! He didn´t look at his watch and went for a walk without telling the others. So, we turned around and „saved“ him. What followed was a bright sunny day, but unfortunately, the wind was against us. 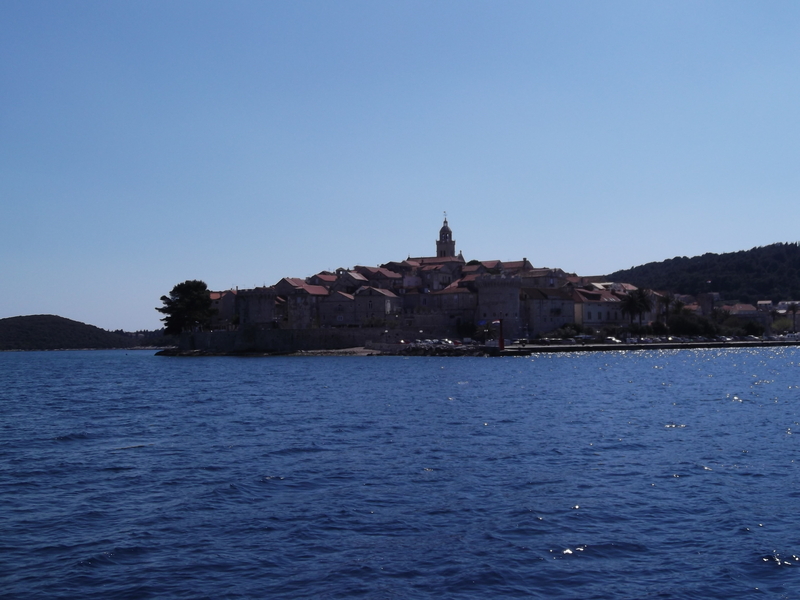 Therefore, we had to run both engines to reach our destination, the island of Hvar, still in daylight. We had some 60 nm to go. Luckily, we got the last available space at the pier, and moored up stern to pier with two moorings. In the evening, the crew went to a restaurant. We left Hvar at around 8 am before anybody came to charge us. There was no wind on a cloudless day and we had to run the engine. 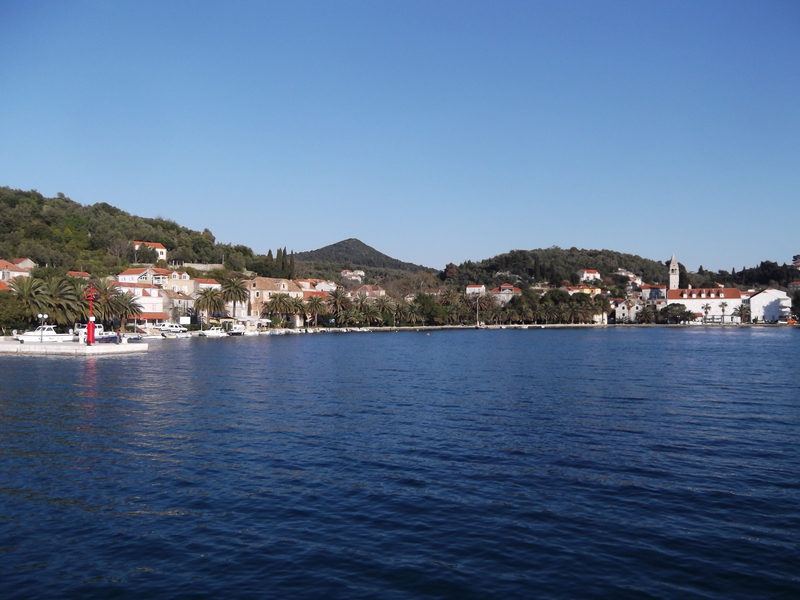 We stopped in Bobovišće, a small bay on the island of Brač, for a coffee break, but the two restaurants hadn’t been opened yet. So, after a quick walk around the town we continued our journey to Split. Around noon, we moored up at Špinut Marina. To sum up, we had done 3.264 nm in 6 weeks! Thanks to everyone who participated! Unfortunately, SailingEurope had only bought one catamaran. We would be ready to start again after a two-week rest.